The High Court of Lahore stated on May 13 that YouTube must be unblocked in Pakistan, in response to a challenge lodged by Pakistani NGO Bytes for All. The decision comes 20 months after the site was blocked by the government. YouTube has been fully blocked in the country since September 2012, in response to the controversial “Innocence of Muslims” film trailer. 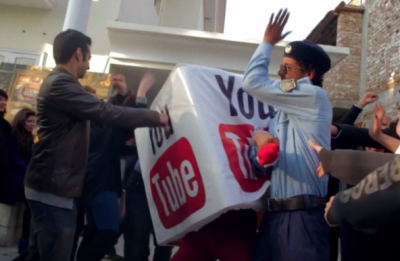 The Pakistani government temporarily blocked YouTube earlier in 2012 and in 2011 as well. The High Court’s decision does not mean that YouTube will be accessible immediately. YouTube was blocked following a 2012 Supreme Court order, which stated that the “Innocence of Muslims” film trailer had to be removed from YouTube and never be made available again in the future. A panel of experts, consisting of representatives of Pakistan’s Ministry of IT and Bytes for All, which had been asked by the High Court to consult on technical issues related to the potential unblocking of YouTube, had advised that, instead of blocking the entire website, a warning message could be displayed. The High Court also found that a warning would suffice, but cannot act until the Supreme Court clarifies its previous order. Bytes for All must now seek clarification on the order. The Supreme Court could either provide this, after which the case would return to the High Court and the unblocking of YouTube can be ordered, or the Supreme Court itself could order the unblocking. The High Court made its decision in the context of a wider constitutional challenge filed by Bytes for All in January 2013, addressing the broader practice by the Pakistani government of arbitrarily blocking websites. Besides YouTube, websites such as the Toronto Sun, Rolling Stone, BuzzFeed.com, various pages on Wikipedia, and many others have been blacklisted and made inaccessible in Pakistan. While these blocks are ostensibly made on grounds of protecting morality, research on Pakistan's filtering practices indicates that the restrictions are likely politically motivated. Restricting access to alternative sources of news, especially on political matters, is a violation of Pakistan’s obligations under public international law to guarantee the free flow of information. It also violates Pakistan’s Constitution. Websites such as YouTube, Twitter and Facebook have an important role to play as a news source: they serve as distribution channels for news content to a wide audience that can’t be reached by traditional means. We at MLDI will continue to support and work with Bytes for All and its legal team to get the issue resolved and make YouTube accessible again in Pakistan. Youtube is still block in Pakistan.